See how far we've come! 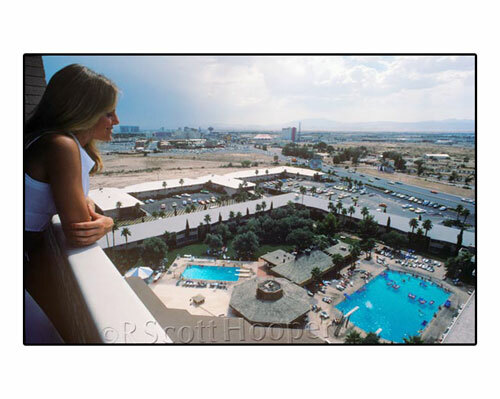 This photo was taken from a suite at the top of the Sahara Hotel high rise around 1969 looking south. See all the space between hotels on the Las Vegas strip? You can barely see the pink stripes of the Circus Circus and there isn't a hint of construction of high rises that sit on that barren desert space today.